The prize is a Harbor Freight 3.5 inch mini LED flashlight...that is correct, the kind you can get free with at any Harbor Freight purchase. We think it fits with the Daily Turismo theme of finding the cheapest example of any item and a desire to avoid depreciation at all costs...can't depreciate much if it was free..right? Anyway, we've used a laser to etch the DailyTurismo.com onto the body so that when you are lost in the dark with the EcoBoost V6 swapped Volvo 1800 and you need a light to see where a mystery wire runs..you will be able to clearly see who to blame for driving some horrible rusted riddler instead of leasing a new Civic like everybody else. Just be aware that Harbor Freight batteries last about 4 months before they start foaming acid and leave the inside of your electronic component looking like a scene from Aliens the movie. All we are looking for is: an idea for a DailyTurismo.com T-shirt that captures the spirit and essence of this site - no need for a ready to print acrobat file, just a description is fine! 1. To enter, all you need to do is: comment below, comment on facebook, like on facebook, comment on twitter with hashtag #DTcontest, retweet, post link on a forum...or all of the above - please be sure your comment has some unique identifier as 'anonymous wins the t-shirt contest' isn't plausible. 2. Each entry will be given a random number (yes, you can enter as many times as you like using the rules from #1) and the winner will be picked at random....so the quality of your suggestion isn't really important, but we'd love to see some great ideas. 3. 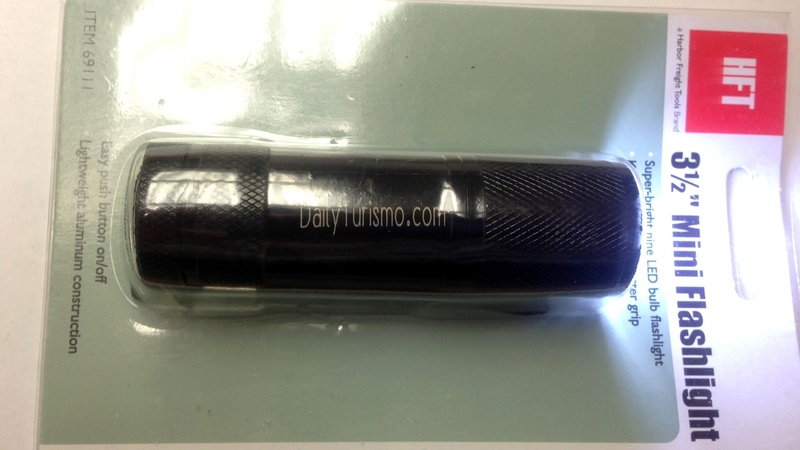 We will ship the flashlight to the winner at any address within the USA. If you share this link on a public forum - just send us the link (tips@dailyturismo.com) and your name, we will be sure to keep track. ~ now there's a challenge i refuse to refuse. I thought I had found a killer shirt when I came across one that proclaimed the wearer as a disciple of "stupid shiny Volvo". Then I found out that was a quote from Twilight. Color me disappointed. The shirt needs to have some kind of rusting hulk of metal on the front. Not a picture of one, but an actual rusting piece of metal.